Trapped in their New York brownstone's panic room, newly divorced Meg Altman (Jodie Foster) and her daughter Sarah (Kristin Stewart) play a deadly game of cat-and-mouse with three intruders - Burnham (Forest Whitaker), Raoul (Dwight Yoakam) and Junior (Jared Leto) - during a brutal home invasion. But the room itself is the focal point because what the intruders really want is inside it. $30.056 million on 3053 screens. At the start of the film, we meet newly-single mother Meg Altman (Jodie Foster) and pre-teen daughter Sarah (Kristen Stewart) as they acquire a gorgeous new Manhattan home. A grad school student, Meg’s pharmaceutical tycoon husband Stephen (Patrick Bachau) recently left her for another woman, and mom and daughter resettle in an abode close to him so Sarah can have easy contact with both parents. On their first night in the new brownstone, crooks come calling. Led by hyper Junior (Jared Leto), the son of the now deceased and very wealthy prior owner of the property, they arrive in search of money hidden within its chambers. He brings Burnham (Forest Whitaker), a veteran security system installer, and Raoul (Dwight Yoakam), the wild card of the bunch; he insists on wearing a ski mask the whole time, and he seems more than slightly unstable. On the other hand, Fincher seems a little too preoccupied with flashy camera techniques at times. Coming from a background in music videos, Fincher always displays solid visual presentations, but he appears a little too taken with camerawork that flies all about the house. Do we really need to see a shot that zooms inside of a door’s lock? The mildly unconventional presentation really doesn’t seem to serve the story to any particular degree, though it doesn’t usually detract from the tale either. Panic Room appears in an aspect ratio of approximately 2.40:1 on this single-sided, double-layered DVD; the image has been enhanced for 16X9 televisions. Since the prior release came as a Superbit edition, it seemed unlikely that the picture or audio of this Panic Room special edition would improve upon that. That came true, as the image quality of the new DVD seemed virtually identical when compared with the original one. Panic Room offered a rather monochrome presentation, and the DVD replicated these tones well. Most of the film stayed with a light blue or green tint, and these hues appeared appropriately rendered. With the exception of the opening credits and the flick’s closing scene, the movie included virtually no colors other than the blue/green. (Does Panic Room take place in the Matrix?) The hues remained appropriately solid without any noticeable problems. The DVD’s case describes its Dolby Digital 5.1 soundtrack as “all new”. I’m not sure why a two-year-old movie needed an “all new” mix, but it fared well and indeed improved slightly on the prior track. While the soundfield didn’t provide a consistently active affair, it filled out the spectrum quite nicely most of the time. Music presented clean and well-defined stereo imaging, and the effects contributed a very solid sense of atmosphere throughout the film. When appropriate, the elements became significantly more involving. Components moved nicely around all five channels and they blended together neatly. Most of these segments remained appropriately subdued, but they still added a positive sense of dimensionality to the experience. The occasional loud scene – such as one that involved a fire blast – really kicked the track into gear, and those segments seemed very impressive. Overall, the soundfield appeared natural and accurate. I wrote those comments about the original mix – how did the new one improve on it? The current DVD’s audio seemed more active in the surrounds. Both focused mainly on ambient audio, but the new track presented more distinctive and unique elements. For example, the initial chase through the house offered increased activity from the characters, as we heard them move around via the back speakers. Other elements simply became a little more prominent in the surrounds, and this made the mix somewhat more involving. Audio quality was identical for both the old and new versions, and these elements came across as solid. Dialogue seemed crisp and well defined at all times; I noticed no signs of edginess or problems related to intelligibility. Music appeared bright and dynamic, with clear highs and tight low-end response. Effects also were very impressive. They accurately depicted the elements in question and showed no signs of distortion. Bass levels seemed consistently deep and powerful, and they lacked any boomy, loose tendencies. In the end, Panic Room provided a fine sonic experience. Whereas the prior DVD came with almost no extras, this new special edition packs them in tightly. On DVD One, we locate three separate audio commentaries. The first features director David Fincher, who offers a running, screen-specific piece. Fincher touches on an extremely wide variety of topics. He discusses why he decided to do Panic as well as all his projects since Alien 3. He also goes over his use of pre-visualization, issues connected to the cast – with some emphasis on why Nicole Kidman got replaced with Foster – plus script issues, sound, cameras, editing, the score, and other technical information. He chats about many of his decisions and goes over the testing process after the film’s completion. In other words, Fincher talks about pretty much everything. He seems honest and frank about his experiences and gives us a thorough and concise examination of the topics. He offers a lot of low-key humor and makes this a very enjoyable track. Fincher’s commentary stands as a great one, and it remains useful and compelling from start to finish. Next we locate a piece with actors Jodie Foster, Forest Whitaker and Dwight Yoakam. Each sits alone for their respective running, screen-specific tracks; this compilation edits the three together. Foster speaks the most, Yoakam comes in second, and Whitaker brings up the rear. 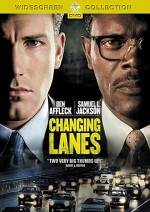 While not as terrific as the Fincher piece, the actors’ track presents a lot of good information. They go into topics such as working with Fincher, various logistical challenges, character notes, rehearsals, and comparisons with other projects. Some of the better elements relate to the changes made to accommodate Foster; the actress goes into differences between the role as executed for her and the plans for Kidman. A little too much fluffy praise pops up at time, but overall, this commentary appears informative and engaging. Lastly, we hear from writer David Koepp plus a “special guest”: fellow screenwriter William Goldman. It never seems terribly clear why Goldman came along, but he acts as a de facto interviewer and interacts well with Koepp, which makes this track brisk and interesting. Most of the material connects to Panic Room but the pair definitely diverge into some related tangents. When they stay on-task, we get a little repetition from the prior tracks, mostly due to discussions of Foster’s pregnancy and the loss of Kidman. However, we get a nice feel for how Koepp came up with and developed the project. Goldman helps broaden the subject as they get into the details and even investigate some “what if” scenarios; they talk about other paths the story could have taken, which allows us to understand Koepp’s rationale even better. When they don’t focus on the film itself, they present an informative look at the life of the big-time Hollywood screenwriter. We get some notes about Goldman’s personal experiences as well as a mix of other connected topics. Neither man presents much tolerance for BS, though Goldman especially seems willing to tell it like it is, and that tone makes this chat even more refreshing. Overall, this piece seems consistently useful and intriguing, and it covers a lot of material efficiently and entertainingly. As we head to DVD Two, we get elements split into various areas. Pre-Production divides into “Prep” and “Pre-Visualization”. When we go to “Prep”, we find two pieces. The Testing Phase runs 16 minutes, 27 seconds as it looks at the film’s photographic concepts. We hear from cinematographer Conrad W. Hall as he discusses the flick’s look and choices, and we watch test footage of the actors and other situations. (Much of this comes from the stage before Hall came on-board, as Darius Khondji initially worked as DP on the movie.) We also get notes from special effects coordinator Joe Viskocil as he goes over different practical elements. We see footage of this as well. (Viskocil also joined the show late, so we find material shot before his arrival.) The material gets a little dry at times, but it mostly seems interesting, and the footage offers some fun bits, especially when we check out the actors in their costume tests, the tests of the gas tank gag, and practice shots of Jared Leto on fire. Quick footnote: is Conrad Hall Mike Myers’ long-lost twin? Those two definitely qualify for “separated at birth” territory. For the other part of “Prep” we look at Safe Cracking School. This 12-minute and 49-second featurette shows a meeting between Fincher and other movies staff with a safe-cracking expert. He discusses the logistics of opening safes and helps them plan what they’ll shoot and the design. This presents raw video footage of their chat and never identifies anyone; I only knew Fincher because I recognized him. It seems odd the program doesn’t name the participants, but it’s still a good look at this stage of the process. Inside “Pre-Visualization” we get four smaller pieces. Creating the Pre-vis offers a general featurette that runs 10 minutes, 17 seconds. This consists of footage that shows Fincher as he critiques some of the pre-vis material created for the film. It also lets us see some subsequent revisions to those shots. Fincher speaks frequently of his use of pre-vis in his commentary, so this feature helps give us a good visual sense for what he meant. It’s a nice slice of this process and Fincher’s input. Available with or without commentary, the Pre-Vis Demo lasts three minutes, 28 seconds. This shows some pre-vis and final film comparisons as well as looks at how the pre-vis was used to block scenes, illustrate camera set-ups, and other technical matters. It’s quite fascinating to see all this planning. The commentary discusses the benefits and drawbacks of pre-vis. Oddly, the piece doesn’t name the participants. The brief Habitrail Film runs a mere 59 seconds. It shows the film’s main set in a dollhouse view as we watch one extended chase sequence. It’s interesting because it never varies in its perspective, but we see all the characters zip around the building. For the final component of the “Pre-Visualization” domain, we find a multi-angle featurette. Two angles appear: a storyboard comparison with an early cut of the film, and a pre-vis comparison with the finished flick. Four audio tracks also show up: sound from the set, commentary with storyboard artist Peter Ramsey, the final soundtrack, and commentary with Pixel Liberation Front founder and animator Colin Green. Although I thought this would be a quick piece, it actually runs 38 minutes and 23 second per angle. That means if you just want to check out both the storyboard and the pre-vis options with their commentaries, you’ll spend almost 77 minutes here! That’s what I did: I examined the storyboards with Ramsey’s chat and the pre-vis with Green’s commentary. The footage itself is a lot of fun, especially when we compare the pre-vis to the final footage; it’s cool to contrast the two. As for the commentaries, Ramsey goes through tons of issues connected to the pre-vis such as the processes, the director’s involvement, the effect on the actors and others, and making changes. That’s the tip of the iceberg, though, as Ramsey provides a great deal of fine information about the subject. Green’s material seems drier and more technical, as he focuses more heavily on technical elements. The notes remain helpful, but Ramsey’s commentary works as the more absorbing of the pair. Since that concludes “Pre-Visualization” and “Pre-Production”, we now head to Production. This also splits into two smaller areas. 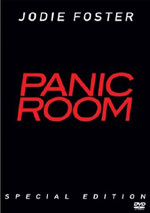 Shooting Panic Room offers an extended documentary. The 52-minute and 34-second program mixes video footage from the set with dailies and interviews. We hear from production designer Arthur Max, director of photography Conrad W. Hall, special effects supervisor Joe Viskocil, and actors Jodie Foster, Jared Leto, Forest Whitaker, and Dwight Yoakam. We learn about designing and building the brownstone set, more pre-vis work and camera planning, location scouting, bringing the set to life, Fincher’s eye for detail, rehearsals, shooting in sequence, creating “the big shot”, executing the initial chase scene, camera-related issues, and various elements of the shoot. Another featurette, Make-Up Effects lasts eight minutes and 56 seconds. Make-up effects creators Alec Gillis and Tom Woodruff Jr. – who go back with Fincher to his Alien3 days – as they chat about the fingers they created for Dwight Yoakam’s character and the broken collarbone for Patrick Buchau’s character. We also watch test footage and other basic material. It’s a loose piece with some funny moments, especially when Fincher sends Woodruff and Gillis back to the drawing board to make the fingers look less like “rubber Cheetos”. That ends DVD Two, so we now head to the final platter. We launch with Visual Effects, where we look more closely at those elements in Panic Room. These sequences provide various forms of footage with comments from visual effects supervisor Kevin Haug and visual effects coordination Leslie McMinn. After the 84-second “Introduction”, we can look at 19 segments: “Main Titles” (10 minutes, 58 seconds), “Thru Bedroom Door” (1:06), “The Skylight” (1:29), “The Big Shot” (17:30), “Through the Railing” (1:51), “Giant Dust” (1:39), “Thru Wall and Floor” (2:52), “The Hose” (5:54), “Propane Gas” (1:28), “The Explosion” (3:46), “The Flashlight” (5:32), “Slow Motion” (3:40), “X-Ray Floor” (3:15), “Safe Shavings/Digital Squibs” (0:50), “CGI Gun and Cell Phone” (2:18), “Arm on Fire” (1:48), “CGI Propane Tank” (3:05), “Headwounds” (1:59), and “Fluttering Bonds and CGI Leaves” (4:21). Essentially the pair touch on all things connected to visual effects throughout the film. This covers about a billion issues we wouldn’t think of since so much of the work comes from shots that don’t look lik visual effects. Haug dominates and provides the majority of the information, but since McMinn is extremely lovely, I’m happy she’s there. (She does get chattier as we progress, though.) While they chat, we see various levels of completion for the footage as well as comparison shots and other photography. The program gets rather dry at times, but it details the topic well and gives us a very thorough look at the subject. Inside Scoring we get four multi-angle programs. These allow us to check out between one and four angles of the orchestra as they perform the music. Actually, only one of the four scenes – “The Phone Call” – provides the maximum number of angles; the other three only show one way to view the orchestra. Each one also presents a composition that shows the angles plus the final footage being scored. Frankly, this seems like a pretty useless extra. It’s just not very interesting to watch classical musicians play. If the piece included some insight into the scoring process, I’d think more highly of it, but as it stands, it bores me. In the “Sound Design” section we find one extra: On Sound Design. It offers a 15-minute and 14-second chat between sound designer Ren Klyce and DVD producer David Prior. Actually, it mostly provides a hands-on discussion of various elements. Klyce discusses the recording of some pieces and demonstrates how he integrated them with the film. The program seems a little dry at times, but it offers a decent look at the film’s audio. As we go to Digital Intermediate, we get a 10-minute and 43-second featurette. We hear from post-production supervisor Peter Mavromates, digital color timer Stephen Nakamura, and cinematographer Conrad W. Hall as they discuss color timing and the use of digital correction for the film. Obviously, this piece gets rather technical, but it explains the subject and what happened on Panic Room well. Some text information shows up in Super 35 Technical Explanation. This offers a history of aspect ratios and other issues connected to film sizes. It also gets into their common use. Many film fans will already know a lot of this information, but it’s a concise and well-relayed discussion nonetheless. After this we get some Sequence Breakdowns. This lets us look at four different scenes in a variety of ways. We can peruse the segment from the script, check out the appropriate storyboards and video tests, see the work on the set, and examine the scenes as they looked in dailies. 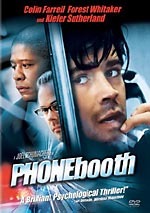 The disc includes the following sequences: “The Phone Jack”, “End of Junior”, “Hammer Time” and “Burnham Surrounded”. Both the script and storyboard areas seem self-explanatory. We watch the appropriate parts of the screenplay and corresponding storyboards in those domains. One annoyance: both proceed at their own pace, and we can’t stillframe or move along the images. This seems awkward. The “B-Roll”, “Dailies” and “Tests” areas all consist of rough footage. Each of the four B-Roll clips runs between four minutes, six seconds and five minutes, 34 seconds for a total of 20 minutes, 22 seconds. These pieces present behind the scenes footage from the set. ”Dailies” shows the rough material from the cameras used to shoot the film. Much of the time we see both A and B cameras at the same time in a splitscreen presentation, and occasionally we examine three cameras simultaneously. We get to check out the material used to cut together the various scenes. Each of these last between three minutes, 56 seconds and 13 minutes, 43 seconds for a total of 27 minutes, 45 seconds of shots. Finally, “Tests” go from 30 seconds to five minutes, 30 seconds for a total of 11 minutes, two seconds of clips. These focus on different elements such as practical effects, lighting, and stunts, as we watch the filmmakers work out those pieces. All together, these components give us exactly what they promise: a breakdown of the different parts that go into creating the various sequences. For many people, the amount of material will probably prove to be too much, as I don’t know how many folks want to watch all that raw footage. For those with an interest in movie-making, though, there’s some very good stuff here. We find a lot of compelling behind the scenes footage that helps give us a nice picture of the various components and their integration. One oddity: though the old Superbit version of Panic Room included trailers and filmographies, I couldn’t find them here. Maybe they’re buried somewhere, but I didn’t see them. It seems weird they wouldn’t carry over to the new set. Panic Room didn’t feature director David Fincher at his best, but the movie kept me interested most of the time. 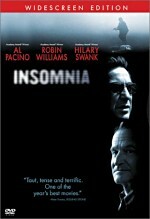 Fincher maintained a good sense of tension and developed a reasonably lively little thriller. The DVD offered fairly solid picture quality that seemed less than stunning mainly due to the extremely dark source material. Audio seemed very good, and the set packed a terrific mix of extras that told about the film in great detail. Recommendations will vary. For folks who don’t own the prior Superbit DVD, I whole-heartedly recommend the special edition. It looks as good as the old one, sounds a little better, and adds boohoogles of great extras. If you do already possess the original release, however, the SE merits your attention only if you love extras. The picture and audio are too similar to consider this one an “upgrade”, so it’s worth a repurchase only to indulge in the supplements. For fans of movie-making, though, they’re definitely worth it. The special edition of Panic Room is a thoroughly fantastic set.